In the wake of the most recent terrorist attacks in Paris last week I have been reflecting about where and how does cultural intelligence and cultural understanding fit? How do we move beyond the fear, anger and shock after such horrendous attacks on innocent civilians? 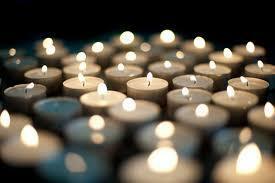 Let’s also not forget the many other lives that have been lost to terrorism pre these Paris atrocities. We are regularly told that we live in an interconnected global world, it is times like this that we are truly reminded that this is a reality. Many of us travel, whether in our private lives through overseas holidays and/or in our professional lives where travel has become a ‘business as usual’ necessity and expectation. 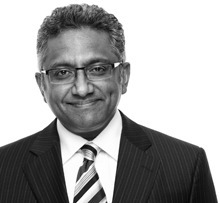 Many communities and workplaces are rapidly expanding and changing, becoming more inclusive of people from diverse cultural backgrounds, while organisations continue to expand across borders at an expeditious rate. The threat of terrorism is one that lingers in the background. One of my concerns is the impact that terrorism has on mainstream societies attitudes and behaviours toward certain groups of people. Cultural intelligence is crucial in traumatic times such as now. Now more than ever, it is so important for us to navigate differences in attitudes and opinions. While we grapple with the horror and continued threats around us, how we respond to different cultural groups at times like this is indicative of our societies. We must mindfully avoid treating certain cultural groups and individuals with animosity and exclusion. Globalisation unfortunately is not a level playing field, it has winners and losers, advantages and disadvantages. It can cause power imbalances and highlight the issue of the ‘haves and the ‘have nots’. It can result in the marginalisation of those with diverse beliefs, values, religion, language and nationalities. One of the components of cultural intelligence is ‘Drive’, that is the motivation to learn and understand other cultural perspectives. It requires you to overcome explicit and unconscious bias and demands you to persist with challenging interactions, even when you are feeling confused, angry and frustrated. This is confronting and by no means easy to do. The question I would like you to consider is ‘how can we learn to live in peace with those from different cultures who have different values and behaviours’? After all, isn’t that essential for the survival of the planet and our species? 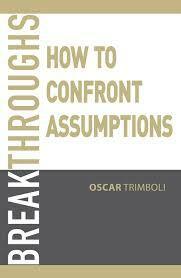 In his new book 'Breakthroughs', Oscar Trimboli shares his insights about how our thinking creates our reality. A big focus is on assumptions, perspective and gaining clarity, motivating the reader to find alignment. There are some great exercises here, handy summaries at the conclusion of each chapter and some insights that I think you will find useful.